At tomorrow’s Soho Food Feast we will be helping the Soho Youth group (and a few others no doubt) from Soho Parish Primary School create their own reviews of the food on offer from the incredible array of chefs. We’ve created a simple notebook for them to record how their five senses respond to the foods on offer introduced by Fay Maschler, Restaurant Critic of the London Evening Standard. Next week we will begin the task of scanning in all the children’s reviews and making a selection of the funniest, best written, most interesting reviews to include in a compilation book, which will also be made and published via bookleteer. 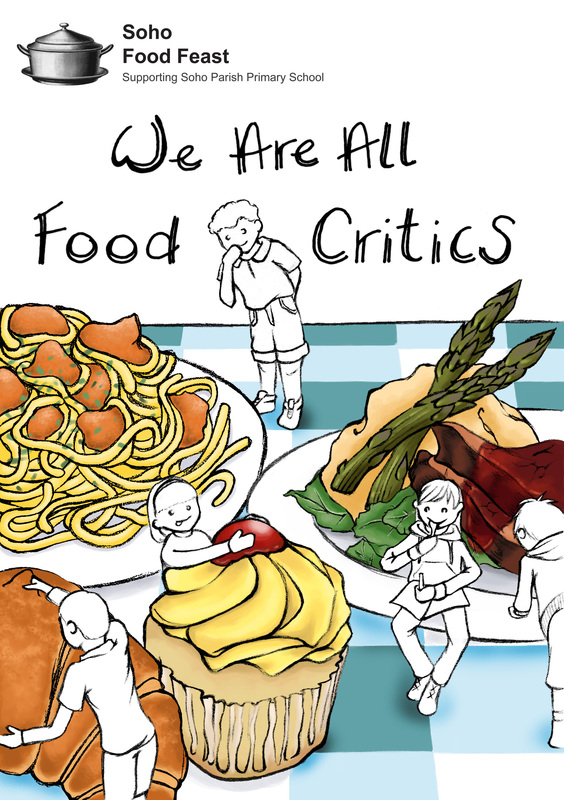 We’ll invite the chefs taking part to have their say too – responding to the children’s reviews with quotes of their own, and ask Fay and head teacher Rachel Earnshaw (who’s leaving at the end of this term after 10 years) to write introductions. We hope to have the final book ready around mid June. We’re inviting donations towards the printing costs and to contribute to the school itself – please use the Paypal Donation button below, visit us at our table in the ‘Dessert Ghetto’ at tomorrow’s Feast or, if you’re a member of the school community, drop into the office to make a donation and get your copy. We’re suggesting a minimum donation of £7.50 – for which you’ll get your name printed in the book as well as receiving a copy by post.